The battery in a UPS is considered to be the most common point of failure. Equally true is that the battery is the easiest element to monitor, maintain and replace. Manufacturers recommend battery replacement for UPS systems ranging from 3-5 years; however, more critical loads or systems in extreme environments (dirt, temperature and poor power quality) may benefit from more frequent battery change-outs. Not all UPS batteries are created equally and when it comes to protecting important loads, the key element during downtime is the quality and condition of your UPS batteries. 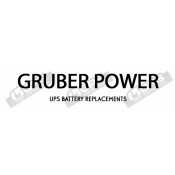 Energy Control Systems has a long history of providing batteries for UPS systems, both old and new. Energy Control Systems places the same batteries in our contract-covered units that we provide to our customers – this is the confidence we have in the quality of the batteries we sell. Ultimately, the goal is for your UPS system to handle your loads for a specified period of time after the power goes down – don’t entrust your critical processes to batteries that you cannot depend on. Many battery suppliers have a “one and done” philosophy. It is their goal to sell as many batteries to as many individuals as possible in a given time period. This may be great for their bottom line, but just is not enough for Energy Control Systems. Your request is received and administered from start to finish by one representative assigned to your account, and periodically they follow up to make sure your battery needs are being met. No matter how large or small, our factory-trained technicians are also available to install your batteries and dispose of the old ones per EPA guidelines. Just ask your representative about our service options. 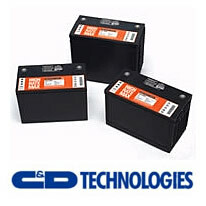 ECS can provide any battery you may require, from a basic 9V to advanced UPS batteries. For more information, contact Terry Gotch.